Non-profit organizations often depend on a pool of local volunteers to provide labor for program activities and to accomplish program goals without excessive payroll spending. Furthermore, with over 1.5 million non-profit organizations currently operating in the United States, these organizations must continue to evolve their marketing and outreach strategies in order to remain competitive in the volunteer recruitment market. As volunteer labor is essential to the continued success of many non-profit organizations, a failure to successfully reach out and engage potential volunteers in the community can be detrimental to the longevity and efficacy of an organization. Marketing to potential volunteers in the youth demographic can be an especially challenging aspect of an organization’s overall marketing plan. Often, in order to reach these individuals, an organization must communicate through schools, parents and other youth programs such as the National Honors Society or Girl Scouts of the USA. Effective communication through these outlets can be made possible through mutually beneficial partnerships and cooperation. Federal child labor laws restrict the ways in which an individual under the age of sixteen can participate in volunteer activities. Restrictions include the designation of safe work areas and that these individuals must be supervised at all times. By cooperating with local youth programs and schools, non-profit organizations can take advantage of youth volunteers without the need for direct supervision or creation of designated safe work areas; the youth groups or schools will provide them. The goal of this project was to determine how Habitat for Humanity MetroWest/Greater Worcester (HfH) can expand local youth outreach and include more youth participants in program activities. A particular focus was placed on those individuals under the age of sixteen. 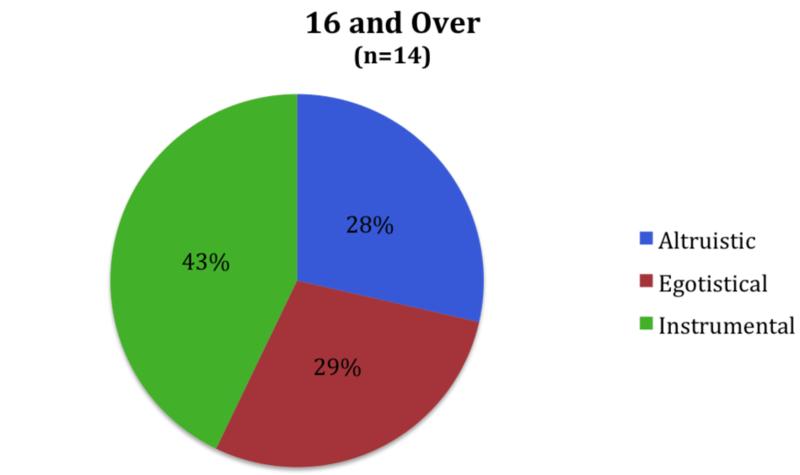 We achieved this goal by determining which aspects of the current HfH youth outreach program are most effective. We also determined how HfH can motivate local youth to volunteer and what curriculum or project activities will be most attractive and age appropriate for prospective youth volunteers. These objectives were accomplished through participatory observation of HfH operations during a period in which our team was immersed in the day-to-day activities involving staff and volunteers. We used this time to evaluate typical HfH activities and understand how youth volunteers operating outside of HfH’s direct supervision could feasibly contribute to the success of these activities. Additionally, we interviewed local youth who are involved in youth programs as well as youth program organizers. This information led us to a better understanding of what type of activities or opportunities will motivate and engage youth to participate in HfH programs. We also conducted focus groups consisting of members of three local schools’ HfH after school clubs that provided additional data representing how best to engage individuals who are already involved in or interested in HfH volunteer opportunities. Through these data collection efforts, we found that youth under the age of sixteen are not allowed the same opportunity to contribute to HfH programs as their sixteen and older counterparts. We determined that in order for HfH to involve more youth in program activities, more opportunities should be made available for this age group. Youth ages eleven to sixteen are primarily motivated to participate in organized volunteer activities out of a desire to help others and contribute to their community. Youth ages sixteen to eighteen were often found to be motivated to participate in order to gain experience, skills and build their resumes. Youth under sixteen also noted that fundraising activities are their favorite, whereas youth sixteen and over expressed a similar interest in both fundraising activities and hands-on activities. Based on our analysis, our team compiled a list of activities that we determined to be engaging for different age groups. We recommend that HfH market this “menu” of activities to current and potential youth volunteers and local youth organizations. With no activities currently offered by HfH that are suitable for youth under the age of sixteen, the introduction of this menu will greatly increase their current potential for youth involvement. Furthermore, we recommend HfH continue to evaluate activities through the use of two activity evaluation surveys, one which can be provided to youth participants upon completion of activities and the other to youth organization leaders who supervised the activities. We have also created a directory of organizations and individuals that, during our data collection, showed interest in collaborating with HfH. This directory will be provided to HfH and will not be made available for viewing in this report. We recommend that HfH contact these organizations and introduce them to this menu of activities. These recommendations will help HfH to expand its youth outreach and involvement. It is hoped that this increased outreach will lead to the consistent return of volunteers from youth through adulthood and the creation of a more sustainable system of volunteerism in the MetroWest/Greater Worcester area.